If you wish to park together please arrive together. Classics on the Promenade with entry from 8am 10am. 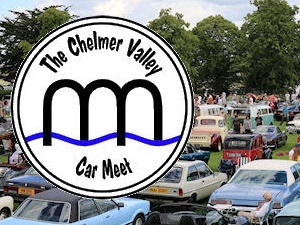 Vintage, Classic, Sports, American Cars, Military & Commercial Vehicles, Retro Cars & Motor Bikes, Auto Jumble, Auto Trade Stands, Vintage Fair & Craft Fair. Entry is from 8am and the gate is open all day. e-Ticket must be printed and displayed in your vehicle on the day. If purchasing multiple tickets, you must list all the relevant car registrations and print a separate copy for each car. Maldon District Council reserves the right to refuse entry to the event. Maldon District Council will not be liable for any ticket that has been lost or stolen after it has been printed by the customer. 1. The event is open to vintage, classic, sports, American cars, motorcycles and commercial vehicles. Entry is at the discretion of the Maldon District Council. 2. The entrant must be the legal owner of the vehicle or be authorised by the owner to be using the vehicle. 3. Entries should only be on this form; please use a separate form for each vehicle. Photocopies of this form are acceptable. No change of vehicle can be made without prior notification and acceptance by Maldon District Council. 4. All vehicles must be licensed and have a valid MOT certificate if required at the time of the event. warrants by signing this form that any person in charge of the vehicle on the event is so covered. 6. Entry may be refused if satisfactory evidence of valid insurance cannot be produced upon request. 7. No items to be sold from vehicles entered for display. Sorry no gazebos, tents, flag poles, etc. No BBQ’s and no selling from your vehicle. If this is a personal purchase and you are a UK taxpayer*, Maldon can increase the value of your purchase without costing you a penny. If you tick the 'Reclaim Gift Aid' box and fill in your full name and home address details, Maldon will be able to claim at least 25% extra from the Government on top of your purchase made through Visit Maldon District. Your name and address will be forwarded to Maldon in this case to allow them to claim the Gift Aid. *You must have paid UK tax this year at least equal to the 25% Maldon will claim.